It’s important to choose men's hunting boots from a company committed to high-quality design, and Danner is one of those brands. They approach the design and development of their hunting footwear with endurance in mind. The goal is a design that lets hunters hunt ... (see full details) (see specifications) #46222. 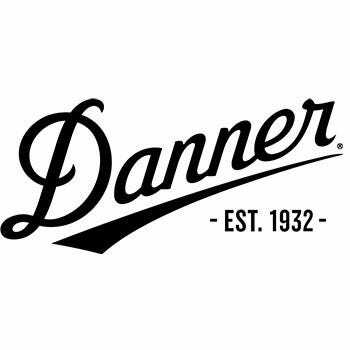 It’s important to choose men's hunting boots from a company committed to high-quality design, and Danner is one of those brands. They approach the design and development of their hunting footwear with endurance in mind. The goal is a design that lets hunters hunt longer with less foot fatigue and lets them hunt faster and quieter when tracking their prey. That’s why the Danner Men's 46222 High Ground Camo 8 Inch Hunting Boots are for you. You know that, with the Danner name, you’re going to get the best in longevity and endurance. Danner hunting boots are designed to maintain the longevity and durability people want in their camo hunting boots. These men's 8-inch High Ground boots have all you need in such a boot style, starting with the durable, tough uppers. They’re made of oiled nubuck and 900 denier polyester uppers. 900 denier is resilient, tough, and ample. It’s top-grain, velvet-like nubuck, and it's oiled to improve its water resistance. It’s durable while offering a shorter and much more comfortable break-in period. It's paired with abrasion-resistant, camo-dyed polyester, reducing the overall weight of the design. The nubuck is not the only waterproof feature. These abrasion-resistant hunting boots feature GORE-TEX (GTX) liners, which are 100% waterproof and breathable. This feature ensures that no water gets in while allowing sweat and moisture to get out. So your feet stay dry, and odors don’t develop. Getting into and out of these Danner waterproof boots is a cinch. That’s because of the Lock & Load lace system. The ghillies across the forefoot give you a secure fit, while the locking speed hooks at the top provide quick and easy lacing. Unlike other hunting footwear styles out there, which have you spending minutes getting into and out of them, these leather camo boots allow that in mere seconds. Each lightweight pair is 46 ounces, and the footbeds possess antimicrobial, anti-odor polyurethane. The shanks are nylon. As a hunter, camouflage is important, and the Danner Men's 46222 High Ground Camo 8 Inch Hunting Boots have Realtree® Xtra® Green Camo, a pattern designed to blend in with habitats in all variations of green. This is especially important during early fall and mid-to-late spring habitats. The Danner Talon outsoles are extremely lightweight and give you athletic performance in rugged conditions. These men's Realtree boots are built on Danner’s DT4 last. This last provides an athletic fit with a tighter heel pocket and a wider toe box, meaning more comfort. These sleek, streamlined lasts are excellent for on or off trail hiking. Danner Boots: Men's 46222 High Ground Camo 8 Inch Hunting Boots is being added to your cart.